Mica, Talc, Octyldodecyl Stearoyl Stearate/ Stéarate de Stéaroyle d’Octydodécyle, Chlorite, Calcium Aluminium Borosilicate/ Borosilicate de Calcium-Sodium, Zinc Stearate/ Stearate de Zinc, Dolomite, Diiron Trioxide, Silica, Magnesite. (+/- May Contain: Tin Oxide Ci 77861, Titanium Dioxide Ci 77891, Iron Oxide Ci 77491/Ci 77492/Ci 77499, Carmine Ci 75470, Black 2 Ci 77266, Blue 1 Ci 42090). GOOD THINGS COME IN SMALL PACKAGES !!! The Petite Pro may seem small but it sure packs a big punch. :) You get 3/4 of the size of a full size shadow, so it makes it very cost effective. A excellent way to start your own love story with Viseart eye shadows. :) Just a heads up you will never be able to have just 1, as soon as you use these amazing, soft, stunning & just a dream to use eye shadows. Its like putting air on your eyes, "Highly pigmented air" all you have to do is just touch the shadow with the tip your brush.& apply. 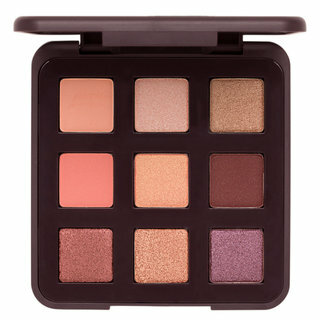 I love that it doesn't matter which palette you get you will always receive the same Viseart high quality through out. 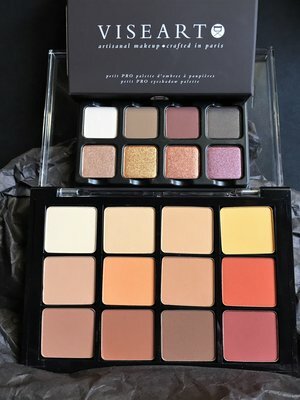 I purchased the new Warm Matte with my Petite Pro & I absolutely love all of my Viseart Palettes. I will be able to create endless amounts of different & amazing looks. :) :) Pics will never do them justice you have to see, feel & try them for yourself, you will defiantly not be disappointed!! I travel a lot for work and the size of this palette is PERFECT. Though the size of the pan is super small, they seem to have almost as much product as a full-size MAC eyeshadow. The pans are fairly deep, and of course, magnetic, to it's easy to depot them and put them in your own palette, if you want. The mirror is good in a pinch, but it's kind of tiny - not warped or anything, but small. The mattes are the traditional "to-die-for" Viseart quality, and the shimmers are a lot smoother (except the "lightest" shimmer shade, which has the most glitter in it) than the 12-pan palettes. I have all three of the Theory Palettes and this is a welcomed addition to my collected. I'm in love with this little baby. 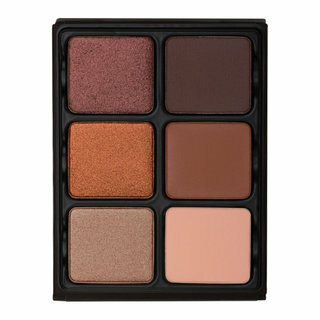 I am a huge Viseart fan and I prefer these shimmers to the ones in the large palettes. So pretty. Great mix of matte and shimmers and the shades are expertly curated to work well together. These shimmers are the same formula as the Theory palettes (which I have 2 of). 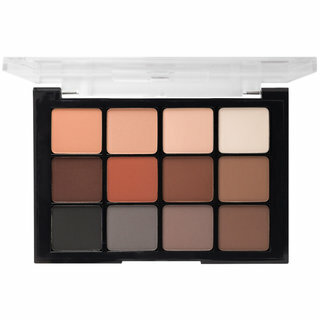 I could just use this and my Viseart Neutral Mattes and never need any other eyeshadows. Thats the only thing i can say for this one. i travel with it coz its so petite and cute but trust me you do not need anything else other than this. i played with this and it creates so many looks.. just awesome. I can see the hype!!! Now, my main problem. The third reddish matte is as hard as a rock. I can't pick up anything with a brush or finger swatch, even with primer. It blends poorly. It's clearly much darker than all swatches I've seen so I'm guessing It's a defective dud? Yeah I get this happens with some brands, but for what I'm paying with viseart I don't think it should happen. I attached a pic of a finger swatch of it over UD primer potion. Look, if I couldn't find use for the last shadow I'd be even more annoyed but be careful when purchasing because this isn't worth the money because of the dud mattes. If you only want shimmers they're breathtaking! On another note, my Minx theory is probably the best thing I've ever used - so look into that first! 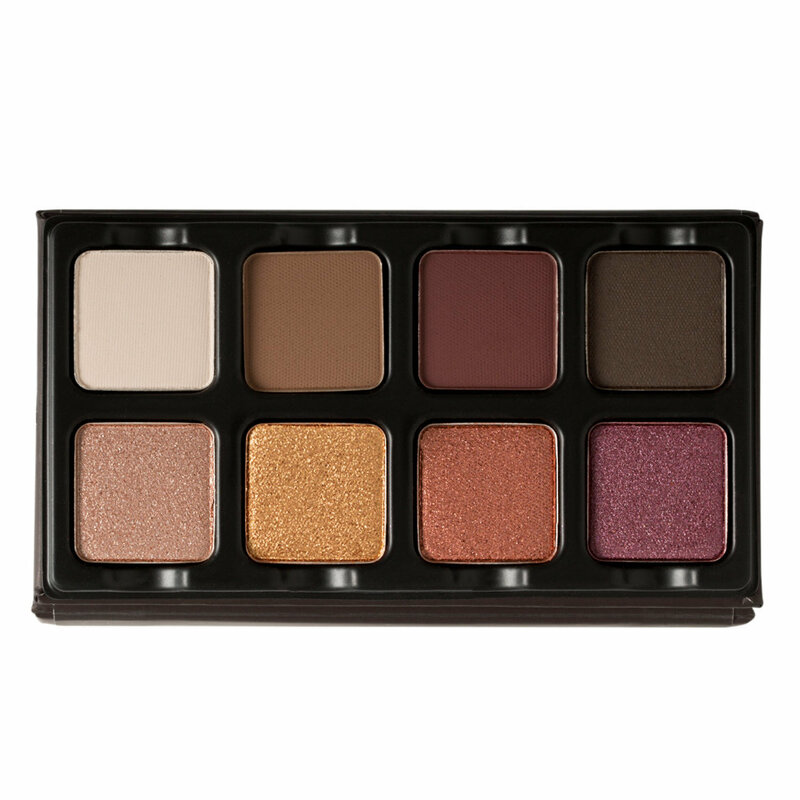 I was excited to try this affordable intro to Viseart shadows, but honestly this palette was a huge letdown and I will be returning it. I gave this palette a fair chance. I used it for a week straight, and changed up how I was applying eye primer, which eye primer, how I was blending, which shades I used together - anything and everything to get a different result - but it was the same sad story every time. 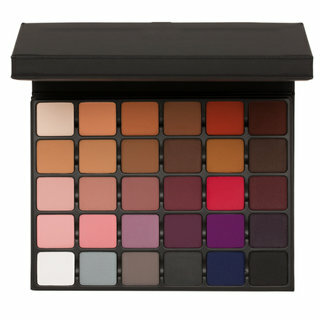 The mattes blend like a dream, but the don't hold onto their color. Instead, they become a muddled blob of what-color-even-is-that? It ends up looking very dull. 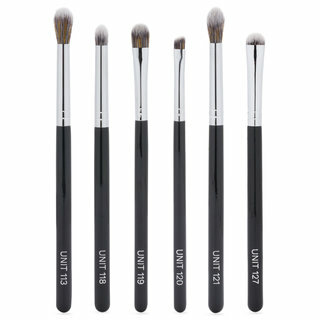 The shimmers are very bright and pigmented UNTIL you blend them, and if you don't blend them, just wait an hour or two. They fade and crease almost immediately. Even with a low price point, I can't keep this palette. I would never use it. I have had my eye on Viseart palettes for a while but didn't wish to spend $80 to try out a brand I'd never used before. I thought the $30 price tag was closer to practical so I ordered both this years mini Viseart palettes. The Soleil palette was a chance purchase. I liked the colors but was afraid they might he too, "young" for me. I am in my 60s. But I thought what the heck and ordered it. The colors on inspection look bright and shimmery and my apprehension grew but I decided to try them out before returning the palette. Am I glad I did! The colors are nothing like they look or swatched on my hand. They are beautiful, light and soft, nothing harsh. Even the shimmers are finely milled and not chunky which I do not like. They are buildable so I am sure you can brighten the look up but I applied them in a wash of soft color which brightened and opened up my eye area. They shout Spring! But not in a garish way, rather in a gently youthful way. 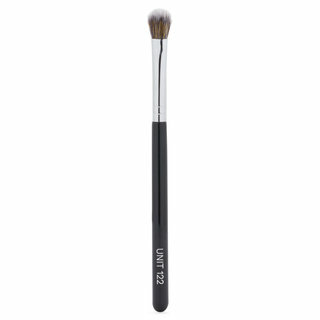 The powders are buttery and blend flawlessly without getting muddied up. They also do not accentuate my crepey eyelids but rather somehow blur the look. My husband even commented how pretty my eyes looked. He's so accustomed to seeing me in neutrals I think he was pleasantly shocked to see me in light beautiful Spring/Summer colors. I was so pleased with my purchase that I found the previous three mini palettes I, II, and III and purchased those. I know I will not be disappointed and will have fun deciding on which colors to mix and match. I can understand now why Viseart has such a loyal following. Add one more person to that list. The Petit Pro 3 is my second Viseart palette that I've ever tried. The colour selection filled the colour gap I had in all my palettes, as I didn't have a dedicated green or purple palette. It has great transition and deepening shades that all complement one another. The shimmers are just incredibly beautiful with its purple and green tones, as well as the neutral brown shade. Overall, quite a lovely palette, but I found it almost redundant as I bought the Absinthe and Amethyst theory palettes as well.